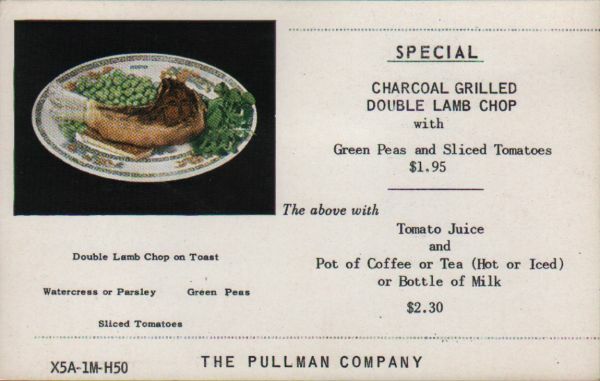 Description Pullman insert (called a rider by Pullman) advertising a Special: Charcoal Grilled Double Lamb Chop with Green Peas and Sliced Tomatoes $1.95. The above with Tomato Juice and Pot of Coffee or Tea (Hot or Iced) or Bottle of Milk, $2.30. 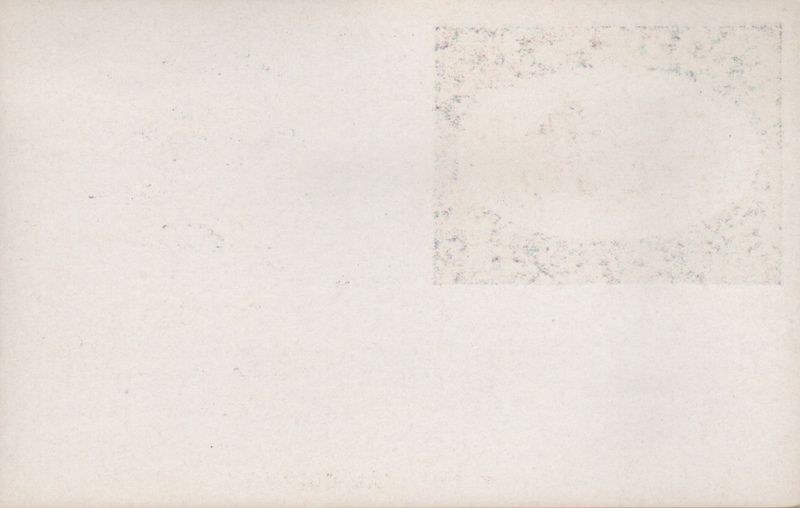 The Pullman Company X5A-1M-H50. This rider was purchased as part of a large group of Pullman inserts and was not attached to a specific menu.